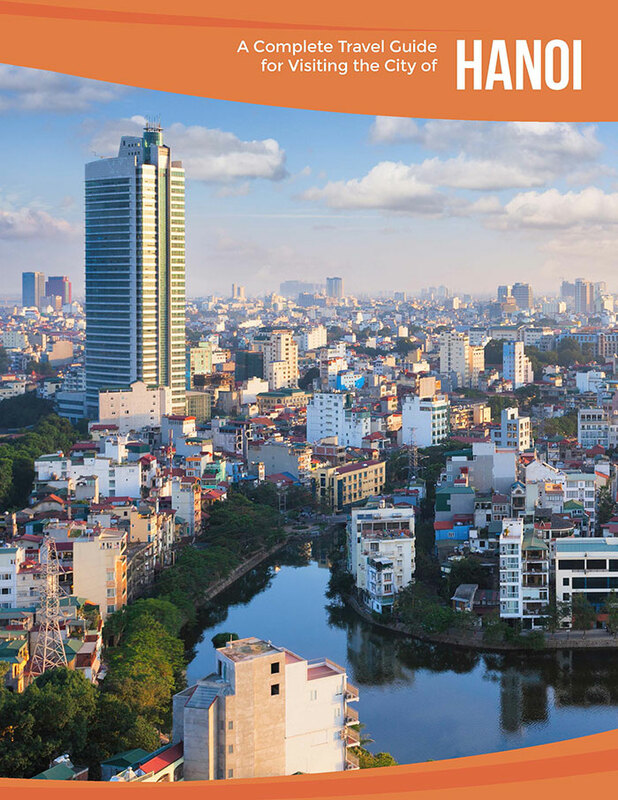 Where Ho Chi Minh City (Saigon) is busy with new growth geared toward achieving total relevance in the global marketplace, Hanoi’s atmosphere speaks more to a reverence for the quiet wisdom that comes with the passage of time and much experience. 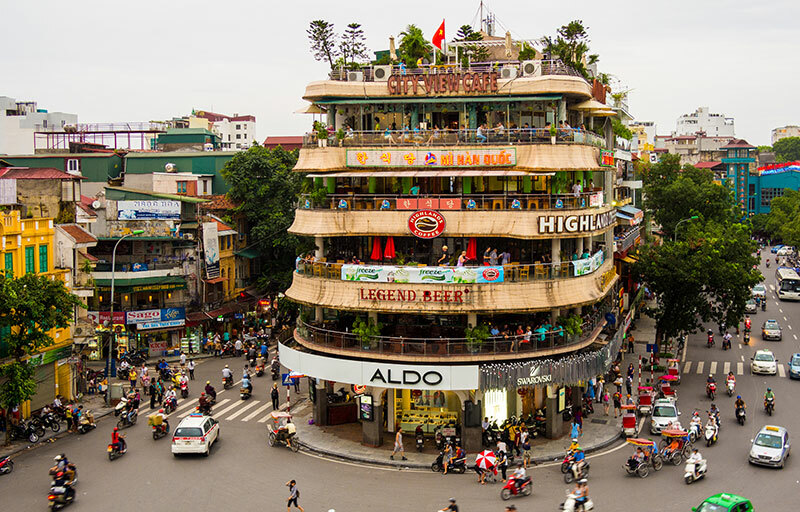 Though Hanoi’s population is young and savvy—educated about the world through the Internet and foreign travel—many visitors to this dynamic and welcoming city remark on the sense of age and solidity the city exudes. 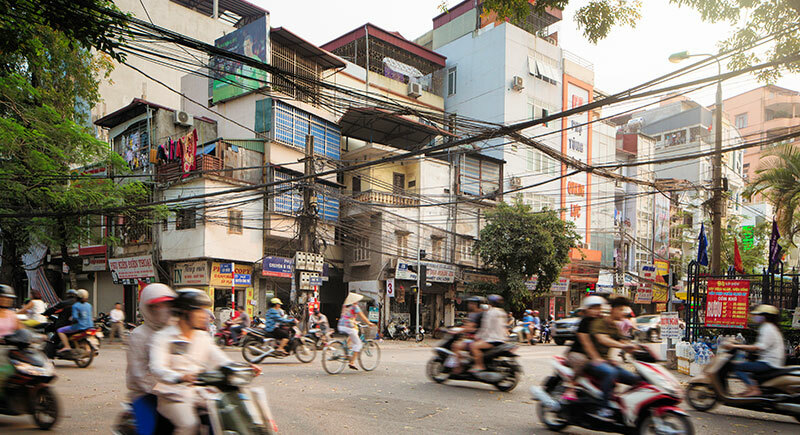 Hanoi’s modern architecture and conveniences are built around a core of ancient streets, foods, culture, and habits of living in a harmonious blend that reveres the old while welcoming the new. Hanoi may just be your favorite destination in the vibrant tapestry that is Vietnam. 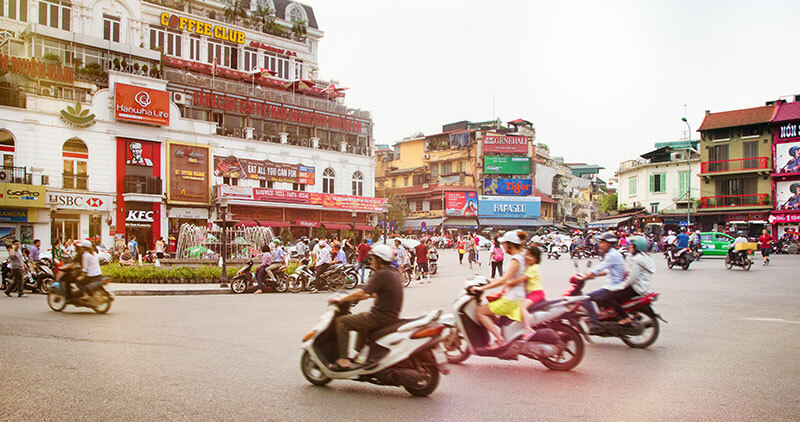 The truly ancient city of Hanoi has gone by dozens of different names over the centuries. The city’s current name was bestowed in 1831 by Nguyen emporer, Minh Mang, to denote its position nestled into a curve of the long and mighty Red River’s right bank, with the large West Lake bordering the city’s northern boundary. 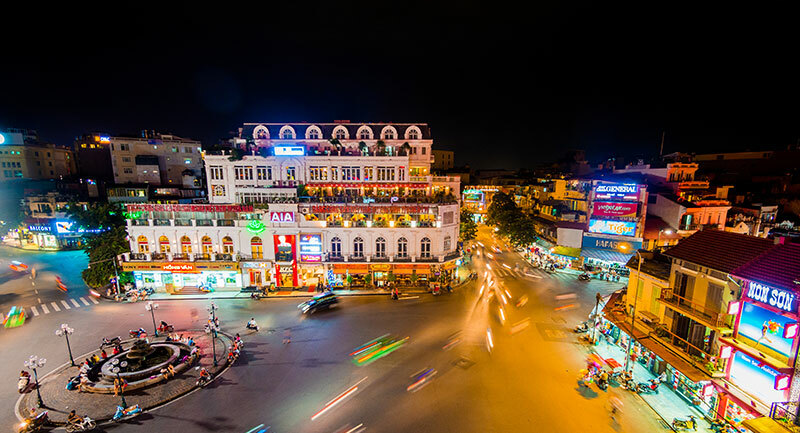 A capital city for nearly a millennium in the kingdoms that encompassed North Vietnam, Hanoi is now capital of a reunified Vietnam. When the French invaded and colonized Vietnam in the 1830s, Hanoi became part of the Tonkin region of Indochina, and you can still find a strong French influence in the city’s French Quarter, with it’s stately French architecture, preponderance of cafes, and availability of Hanoi’s incredibly popular coffee and crusty baguettes. When the French were forced to leave Vietnam during World War II, the Japanese occupied Indochina from December 1941 to 1942, until they were expelled by General Ho Chi Minh’s communist army, the Viet Minh. The French moved into the vacuum that retreating Japanese forces created until they were again forced to leave, with North Vietnam declaring its independence in 1945. In 1946, friction between the Viet Minh and French occupiers sparked the Battle of Hanoi, which became the first of many battles in the First Indochina War that ended in 1952. 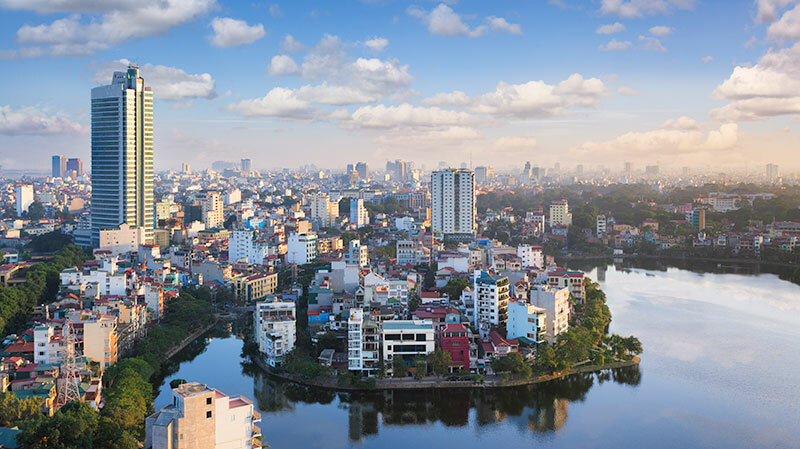 When North Vietnam won the Vietnam War in 1975 (called the American War in Vietnam), Hanoi became the capital of the reunified northern and southern parts of the country. Because it is located in the northern part of Vietnam, Hanoi gets four distinct seasons, with winters getting quite chilly (temps can fall below 10 deg. C., or 50 deg. F.) and summers bringing in plenty of heat (average temp of 28 – 35 deg. C., or 82 – 95 deg. F.). Expect high humidity all year round. For most visitors, the most pleasant time to visit Hanoi is during the more mild seasons of the year: spring, in March and April; early summer; and autumn, from September to November. Ho Chi Minh Museum lies close to other major Hanoi attractions, such as the Ho Chi Minh Mausoleum, One-Pillar Pagoda, Ba Dinh Square, and the War Memorial. It is also across the street from a lovely local market. 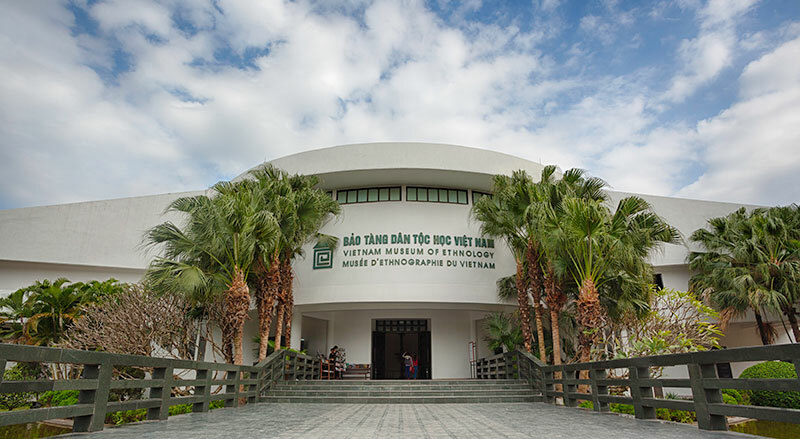 The museum itself celebrates and recounts the life of national hero Ho Chi Minh, who dedicated his life to helping Vietnam gain its independence from foreign occupiers. 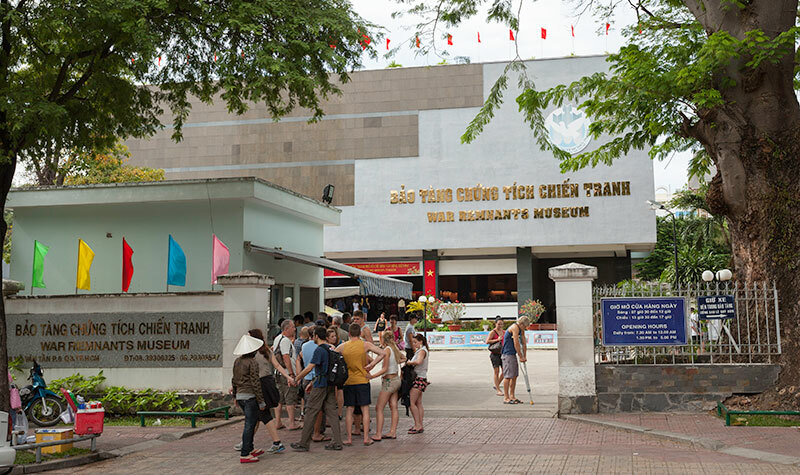 The museum is packed with artifacts and objects from General Ho’s possessions, with Ho Chi Minh’s life portrayed in eight distinct time periods. Signs are written in Vietnamese, English, and French, and guided tours are available. Find Ho Chi Minh Museum at 19 Ngoc Ha, Ba Dinh, in the Ho Chi Minh complex. Opening hours: Monday and Friday, from 8am – 12pm; Tuesday, Wednesday, and Thursday, from 8am – 11:30am, and from 2pm – 4:30pm. Click here to visit the Ho Chi Minh Museum website. This award-winning museum honors the diverse cultures and ethnicities of Southeast Asia, many of which are represented within Vietnam’s Hanoi population and in the surrounding area. Local communities assist museum staff in collecting artifacts for display, building and maintaining architectural display structures, and providing exhibitions and performances. For visitors, the chance to learn about the exciting diversity within Vietnam’s population is an excellent way to spend an afternoon or a day. While some displays change regularly, permanent displays—including a collection of beautifully colored Indonesian glass paintings—delight repeat patrons every time they go. 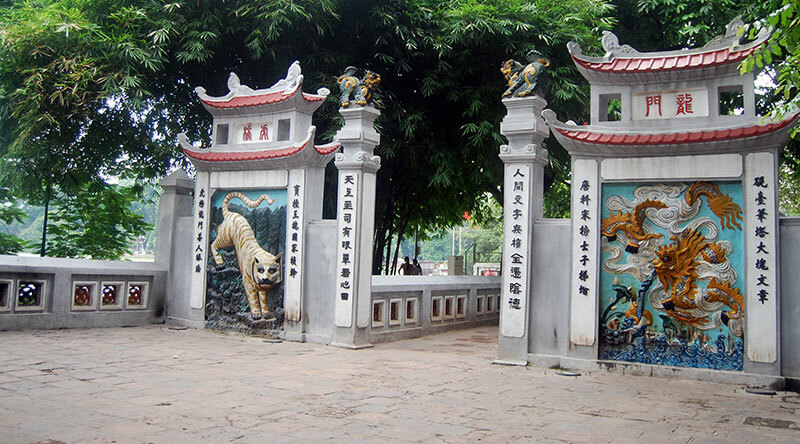 Find the Vietnam Museum of Ethnology on Nguyen Van Huyen Road in Cau Giay district. Opening hours: Tuesday through Sunday, from 8:30am – 5:30pm. Closed Mondays and New Year’s Holiday. Entrance fee: 40,000 VND (about USD 1.76), with free admission for children under six. Visit the museum’s website to learn more about special events, to rent locations, and for information on tour guide fees. The Old Quarter is the city’s main tourist hub as well as its main commercial district. 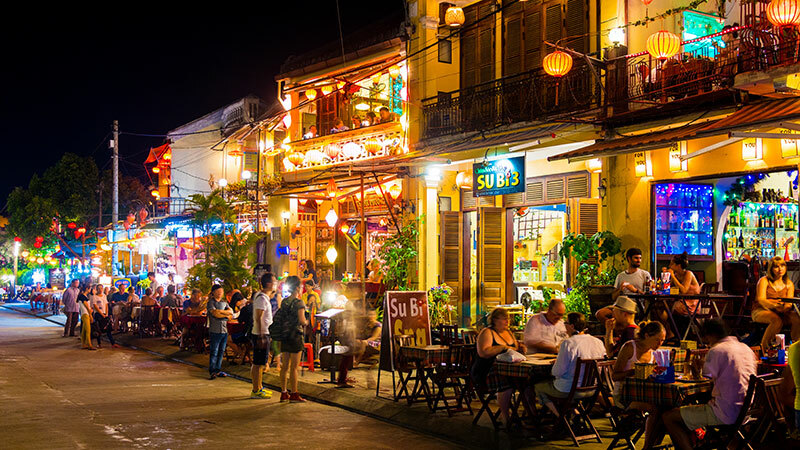 Distinct from the French Quarter (Ba Dinh District), the Old Quarter houses plenty of wonderful Hanoi attractions, such as colonial architecture, Buddhist temples and pagodas, and lots of places to shop and eat. Nearby in the Old Quarter is Hoan Kiem Lake, a quiet and peaceful place to get away from the noise and bustle of the city, the Ngoc Son temple standing guard on a small island in the middle of the lake. The temple, built to commemorate Tran Hung Dao, a 13th century military leader who fought bravely against the Mongolian Yuan Dynasty, is located on Jade Island. Visitors can access the island on the Rising Sun Bridge, a brightly painted bridge built in the classical Vietnamese design. The temple is open daily from 8am – 5:30pm. “Hoan Kiem Lake” means “lake of the returned sword.” The legend has it that an emperor was given a magical sword in his efforts to defeat the Chinese Ming Dynasty, and by his use of the sword, the Golden Turtle God returned to the lake. Visit Hoan Kiem Lake to sit and people watch in the shade, visit the island and the temple, and try to spot one of the endangered soft-shell turtles that inhabit the lake. Come early in the morning to see locals practice their Tai Chi and yoga. Located in the Old Quarter, the world-renowned Thang Long Water Puppet Theater continues a North Vietnamese tradition. 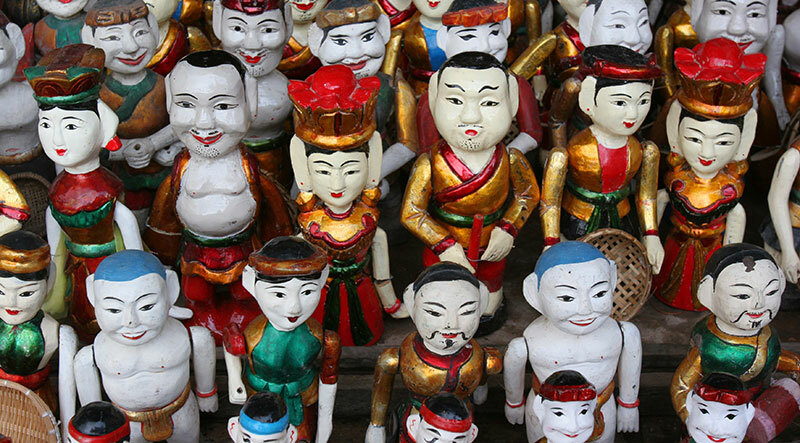 Water puppetry began as a way for villagers to entertain each other after the rice paddies were planted and flooded. Puppeteers use long rods to manipulate the puppets over waist-deep water, providing a spectacle that originates in North Vietnam and has become popular throughout Vietnam and Southeast Asia. Water puppet shows are accompanied by an orchestra playing traditional instruments and incorporate authentic operatic songs into the breathtaking productions. Book early to get a seat at the front (tickets sell out quickly! ), and enjoy a truly authentic Vietnamese experience. Ticket prices start at 247,830 VND (USD 11), with extra fees to film the show. Guided tours allow you to see parts of a city that you might not normally uncover. 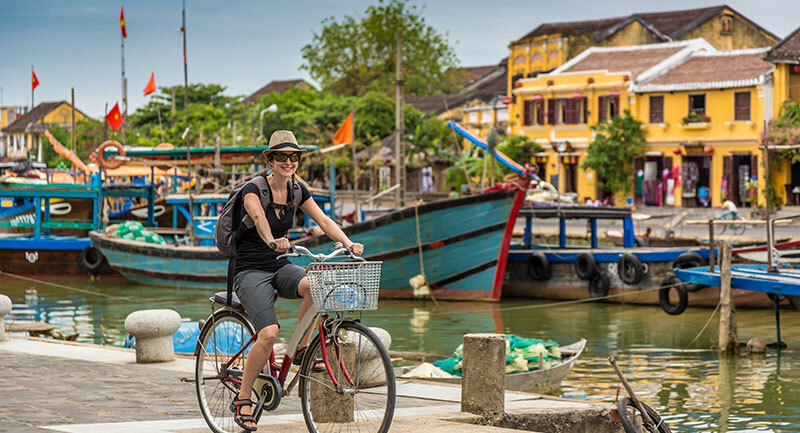 If you are unfamiliar with Hanoi, we recommend booking one of these quality tours as a way to see the sights and get interesting information from knowledgeable tour guides. For a list of tours beyond the ones listed below, click here. This day tour is the perfect way to spend your time hitting all the most popular sights in the city, including lunch at a local restaurant featuring Vietnamese cuisine. With stops at the Ho Chi Minh Complex and all the sites located there, Tran Quoc Pagoda, the Old Quarter, the Temple of Literature and more, you’ll get your money’s worth and get the feel of Hanoi’s lengthy history and deep culture. Tour operators pick you up from and drop you back off at your hotel. Tours start at 8:30am and end at 3pm. For pricing and booking, click here. Huong Pagoda is a cluster of temples and shrines located near Huong Son Mountain (Perfume Mountain) about 70 km (43 miles) from Hanoi. Built in the late 1600s, Perfum Pagoda has long been a place of reflection, worship, and beauty for Buddhist monks and civilians alike. The day trip includes pickup from your hotel, a two-hour bus ride to Ben Duc harbor, and a one-hour boat ride over crystal waters before reaching the pagoda. You’ll spend your time exploring the main pagoda via a cable car to the top of the mountain, enjoying lunch, and visiting another large pagoda nearby. After traveling back to Hanoi, you will be dropped back at your hotel. English-speaking tour guides are available, as are guides who speak in other languages. To get more information about tour prices and to book a tour, click here. Cycling through Vietnamese countryside is a wonderful way to get fresh air while seeing the landscape up close and personal. This day trip lets you go back to the 10th century in the Ninh Binh Province at Hoa Lu, the former citadel of Dai Viet City, a visit to the site known as “Halong Bay Inland” (Tam Coc), and more. The tour includes pickup from your hotel at 8am, transport to Hoa Lu, bicycles for the trip to picturesque Tam Coc, a boat tour through caves in limestone karsts, and the trip back to your hotel. Lunch in Tam Coc and all entrance fees are included in the tour price. For tour prices and dates, click here. Hanoi is a popular base for visits to Halong Bay, of the UNESCO World Heritage sites. Halong Bay in the Tonkin Gulf is a magical wonderland of foliage-topped limestone karsts jutting from the blue-green waters of the bay. A one-day cruise will get you out on the water amongst the karsts, with an onboard lunch of local seafood, and a visit to one of the unique caves located in one of the largest of the karsts. 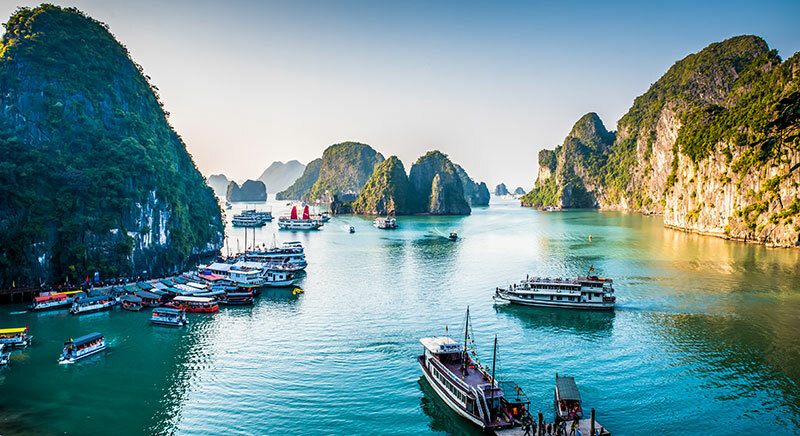 The tour also includes all service charges and government fees as well as transportation to and from your hotel in Hanoi to Halong Bay City and the docks. To find pricing information and to book a one-day tour, click here. For additional information about the Halong Bay, travel tips, and cruises, read our travel guide on Halong Bay. Every region of Vietnam produces exquisite dishes, but Hanoi stands apart for both the variety and deliciousness of its most beloved foods. 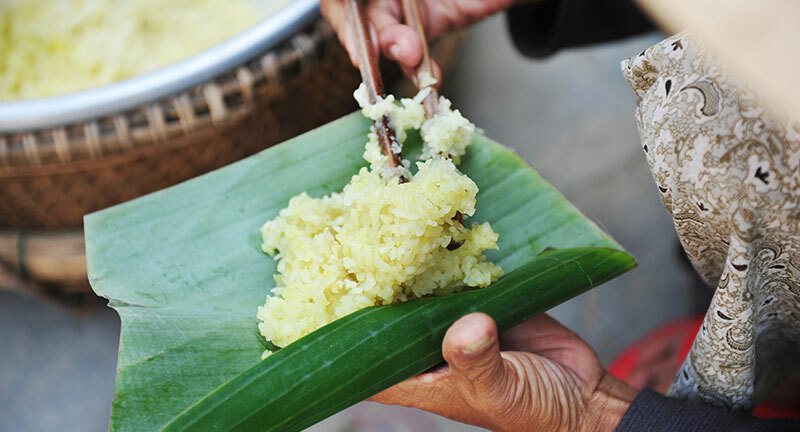 North Vietnam cuisine tends toward the simple and pure, with a preference for clean flavors. 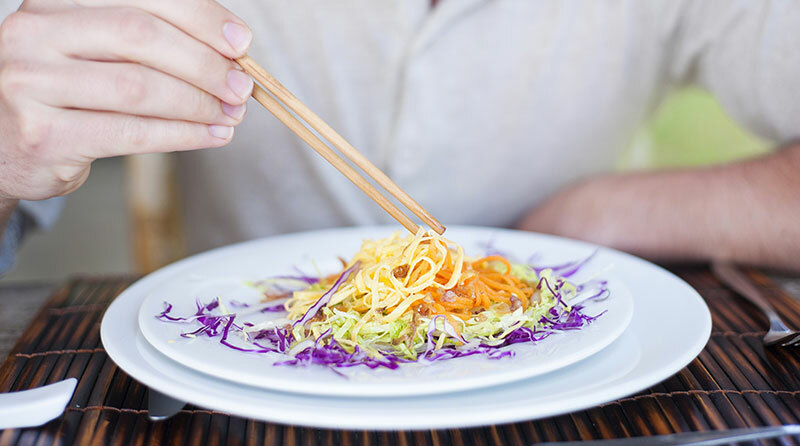 When it comes to eating out, people from all walks of life happily mingle together at streetside restaurants, sitting on small stools and leaning over short tables to slurp pho or dig their chopsticks into something delectable. You’ll be overwhelmed with the sheer volume of tempting dishes offered in restaurants and from food carts wherever you go in Hanoi, but there are a few dishes that no visitor should miss. 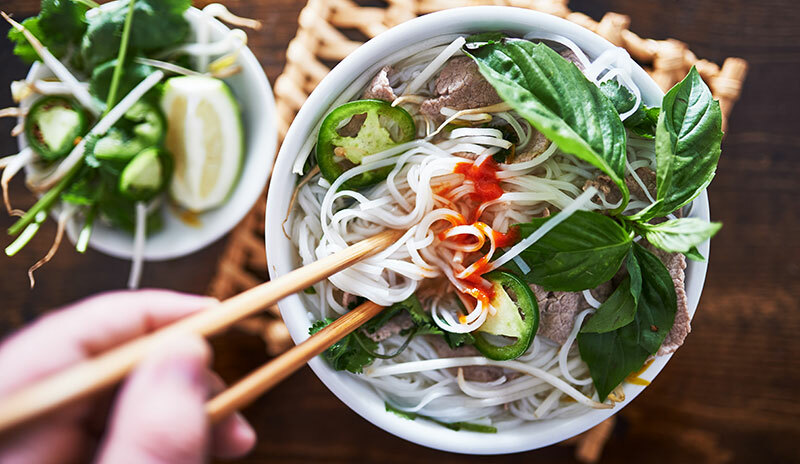 Pho, pronounced “fuh,” is a dish found all over Vietnam with different variations, but it is in Hanoi where pho was first invented. Hanoi-style pho is kept much more simple compared to southern pho, with fewer spices used in order to maintain a pure and clean flavor in this rich rice noodle soup. 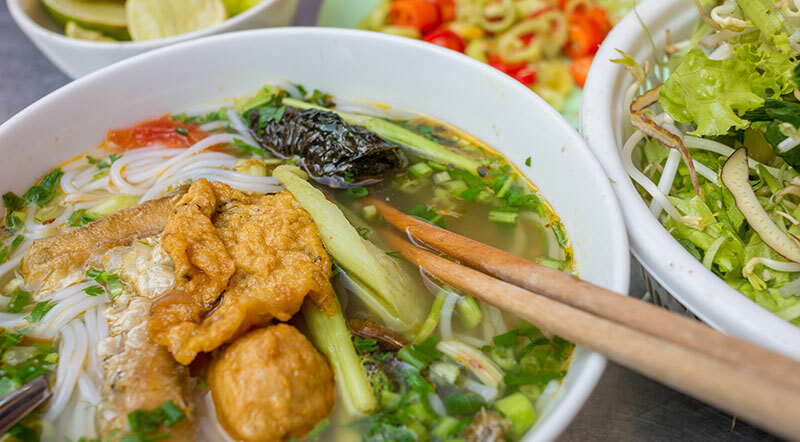 Often served with savory fried dough that is dipped into the broth to soak up the flavors, Hanoi pho generally contains either beef or chicken in a lovingly cooked broth to which charred and roasted onions and ginger have been added. It is flavored with star anise, cinnamon, cardamom, fennel, and cloves. The aromatic broth is poured over wide rice noodles. Some restaurants serve pho along with a plate of torn lettuce leaves, mint, cilantro, and slices of hot chili, but a purist version of Hanoi pho will have the herbs already added to the soup. The Old Quarter of Hanoi is one of the best places to find pho. Feel free to try several restaurants in order to comparison taste, or ask a local or your tour guide where he or she prefers to buy their pho. This is a beloved breakfast dish in Hanoi. It’s inexpensive and filling, which is why it’s so popular with students and day laborers. The sticky rice, shavings of cooked and compressed mung beans, and fried shallots are simple ingredients that combine into something truly magical. When you buy it wrapped in a banana leaf, you’re truly getting a taste of a Hanoian favorite. This very popular street food is a French-Vietnamese fusion food that has existed since the colonial days and has since spread throughout the world. From the French come of the crusty sandwich rolls and pate (traditionally a duck pate), the staples of a good banh mi. Throw in some meat, cucumbers, fresh herbs, pepper, chili sauce, mayonnaise, daikon-and-carrot pickle (do chua), and maybe a couple fried eggs, and you’ve got the world’s best sandwich. Vietnam is the second highest exporter of coffee after Brazil, and the Hanoians love a good coffee smothered in a frothy concoction of honey, sweetened condensed milk, and egg yolk. 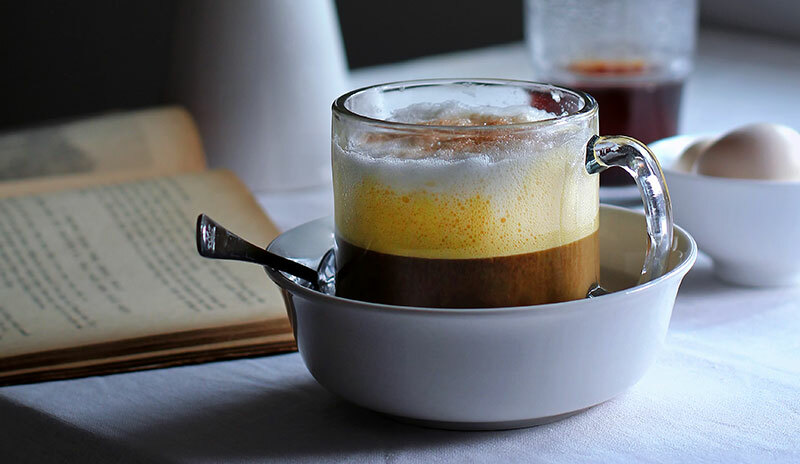 The yolks and honey are whipped until they are frothy and thick before being poured into the coffee cup. After the coffee is carefully poured in, a bit of sweetened condensed milk adds further creaminess and flavor. Another popular breakfast food, you don’t have to wait for morning to sample this Hanoian specialty. This crepe dish is influenced by the French, but instead of using a wheat-based crepe, the banh cuon is made with a rice-based crepe that is steamed. The crepe is then filled with meat and mushrooms and served with a sauce that includes fish sauce, lime juice, Vietnamese pork sausage, and fried onions. You’ll find banh cuon at both food carts and sit-down restaurants, where it’s a delicious and inexpensive snack or meal. You can also get a vegetarian version by asking for plain banh cuon. 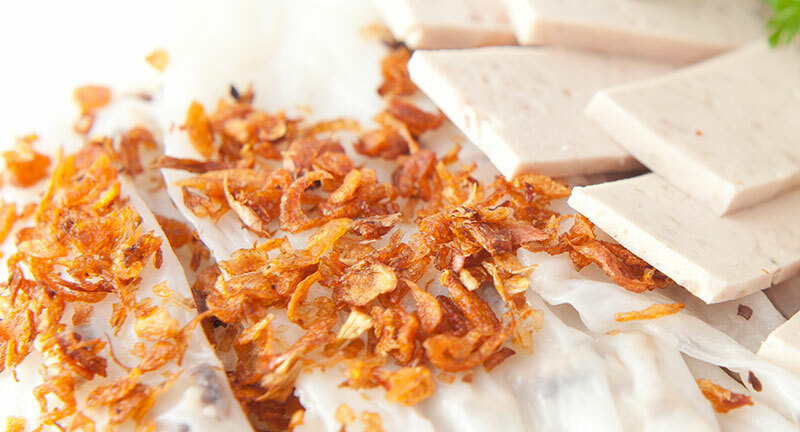 Banh cuon is very popular with locals, but not many tourists get to hear about it, so be sure to ask a Hanoian local where to get good banh cuon. If pho is your grandmother’s special chicken noodle soup, bun thang is your gourmet chef brother’s fussy and precise noodle soup that must be made just so, with ingredients cut to exactly the same size and placed in to the bowl in the correct order (which size and which order is up to the cook, whose bun thang recipe has probably been handed down from previous generations). 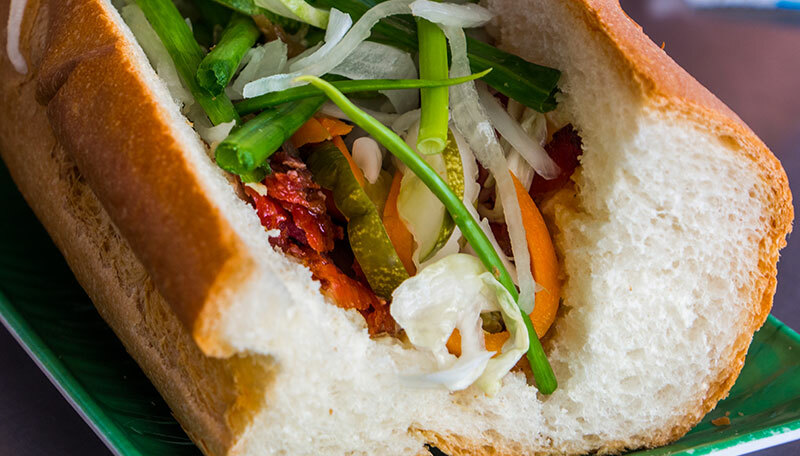 It’s adult and sophisticated, and the people of Hanoi love their bun thang. “Bun” refers to the type of noodle used—in this case, rice vermicelli. The vermicelli is placed in the bottom of a bowl, and the ingredients are laid over the noodles before the broth is spooned on top. Ingredients can include meat, green onion and other herbs, thinly sliced scrambled egg, mushrooms, and hot chili slices. Because Hanoi is landlocked, freshwater fish such as snakehead or catfish is used in this delicate and flavorful dish that is a Hanoi specialty. Cha ca is so beloved in Hanoi that an entire street is named after it. When you order cha ca, you’ll get a sizzling pan full of seasoned grilled fish filets to which you will add the additional ingredients: fresh dill, cilantro, and other herbs. Once the greens have cooked down in the pan a bit, you’ll ladle the fish and greens into your bowl of noodles, top with shrimp paste to your taste, and sprinkle with peanuts. Grab your chopsticks and try to capture a bit of everything in the bowl so that your mouth explodes with the symphony of taste and texture that is cha ca La Vong. For non-meat eaters, Hanoi has plenty to offer. Here are three vegetarian restaurant suggestions, though with a little research and by asking locals or a tour guide, you’ll easily get even more excellent recommendations. Located at 164 Au Co in Tay Ho district, this small family-run vegan restaurant serves up extremely fresh and tasty dishes daily. 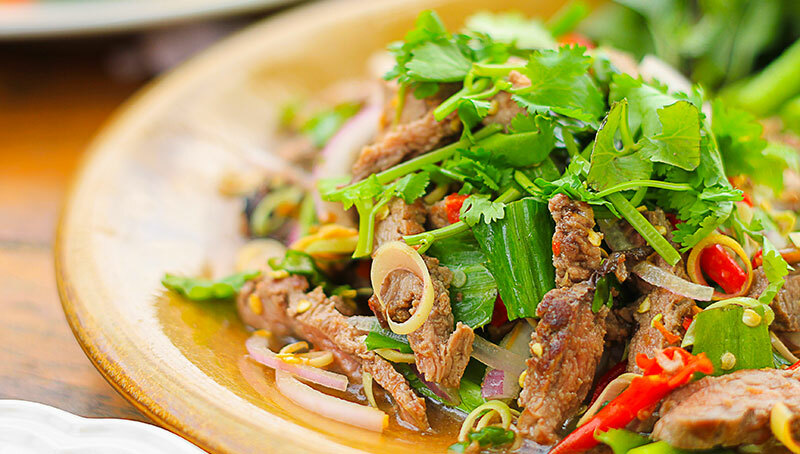 The emphasis is on southern Vietnamese cooking traditions, so you’ll get that robust southern flavor in these truly authentic Vietnamese dishes. With the menu emphasis on traditional classics—including spring rolls and soup to die for—you know you’re getting something special. Locals and visitors rave about the banana soup. While Daluva isn’t a strictly vegetarian restaurant, the Middle Eastern menu clearly labels the vegetarian offerings. Israeli-American executive chef Shahar S. Lubin creates a gastropub menu for those who want a little taste of home (Philly cheesesteaks, burgers, fries) or who are seeking something outside the traditional Vietnamese cuisine. Select your favorites from an all-day menu or drop in for comforting breakfast or lunch food. Add a cold microbrew or cocktail to your meal. Find Daluva at 33 To Ngoc Van. Visit Daluva’s website to explore the menu or order takeout. Fancy a little yoga instruction before lunch? Zenith Yoga contains both a yoga studio and a vegetarian fusion food café, so you can drop by to do your sun salutations before diving into a scrumptious mushroom sandwich or ultra-fresh salad. Top off your meal with a cool and refreshing fresh smoothie, and order another one to go. 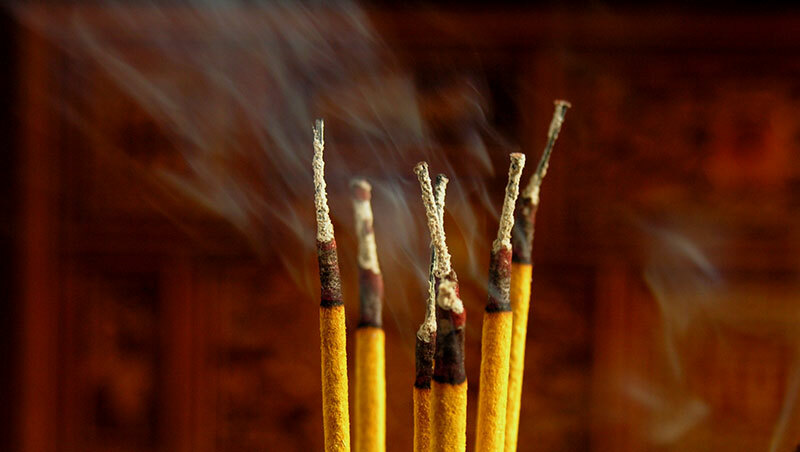 Zenith Yoga is located at 247 Au Co in Tay Ho district. Visit Zenith Yoga’s ZCafe to see what’s on the menu. Ancient Hanoi is the perfect blend of old and new. Each district has something distinct to offer, and visitors will enjoy exploring the city’s most important museums, pagodas, and cultural sites. 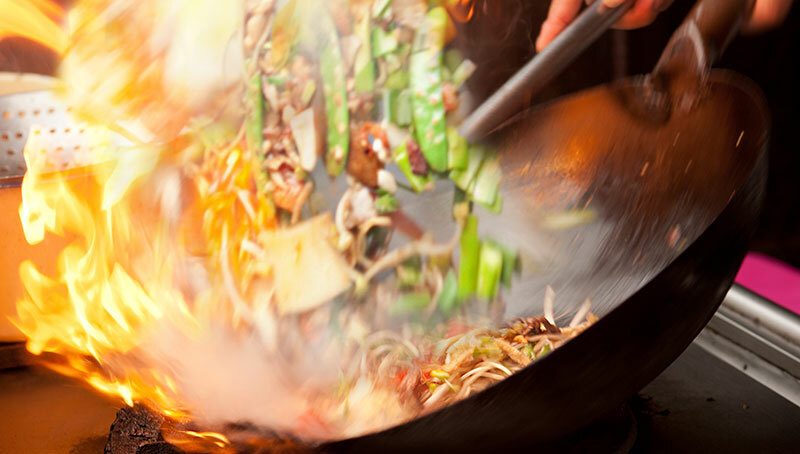 The remarkable array of street food and restaurants offering up everything from traditional North Vietnamese dishes to comfort foods from home mean that your taste buds will always be tickled. 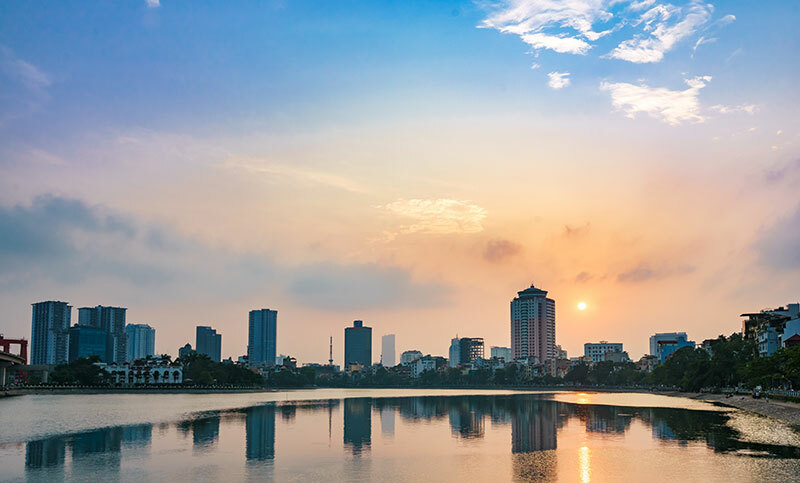 For many, Vietnam’s capital city of Hanoi is the perfect place to vacation—there’s plenty to see, the food is delicious, and the people are friendly.